The GLMDA motion detector kit includes an etched, screened and drilled printed circuit board and all components that mount on the board. 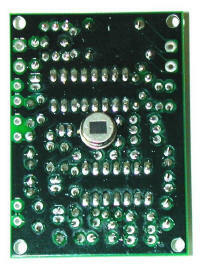 You mount the components on the PC board and solder them in place. 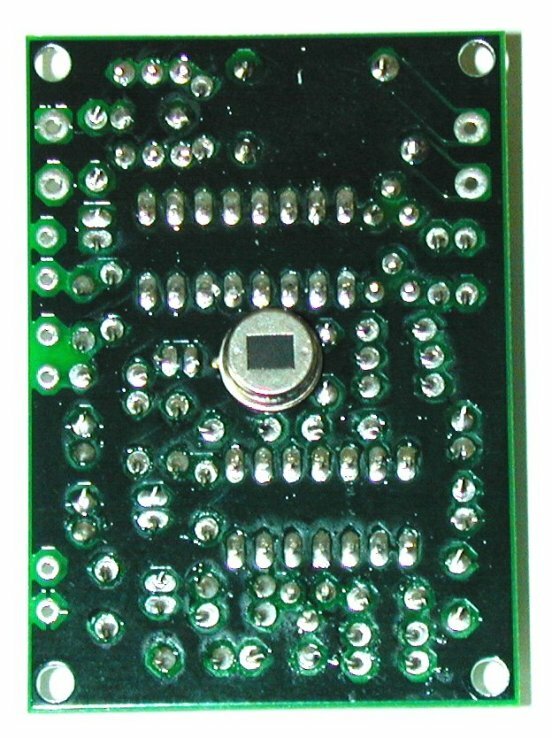 This is a high density board with components close together that requires careful assembly and soldering. Most components mount on the top side of the board and the sensor mounts on the bottom. This method of construction allows unobstructed mounting of a lens and easy access to circuit components and adjustments. A Fresnel lens or other type of lens should be used with the GLMDA for long range detection. 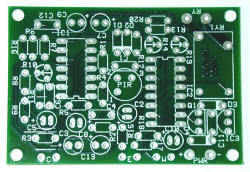 Blank GLMDPCB printed circuit board. 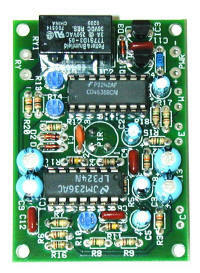 This is the same PC board that is used in the GLMDA kit but is supplied without components. and view or print a complete manual for the GLMDA kit. 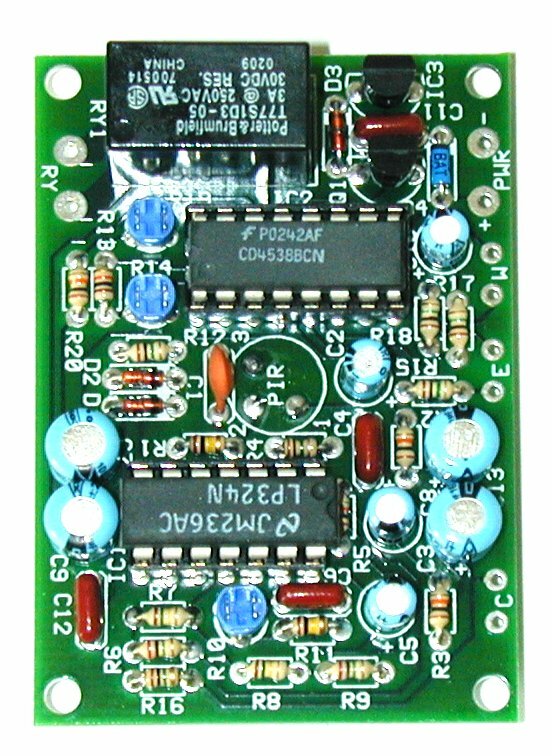 Manual includes schematic diagram, board layout, parts list and description of how it works.